thing. including a NiCd batters , fit nicely in a 7" x 4" x 3" plastic box (see Photo E). The Micro-Eye presents a bit of a problem if you want to change the antenna. Its antenna is rather closely integrated into the entire RF board design. You don't have a handy coax connector or waveguide flange to hsiok things to. Its horn does work quite nicely, and would probably make a satisfactory feed for a 1' io 3' dish. Remember; You must he very careful not to touch the mixer diode located inside of the horn! This extension adds an estimated 8 dB of gain. Field tests verified a marked improvement in signal strength. The BEL Micro-Eyc police speed radar detector is easily modified for reception of the 10 GHz ham hand, The cost is low and the performance is quite respectable. This device should serve as a useful accessory for the microwa\ e amateur. Youma\ contact Steve J. Sott WAôEJOat 1288 Winford Avenue, Ventura CA 93004-2504. Computer Controlled Ham Shack (or personal or club system New Simplex option, operate patch & remotes via repeaters! 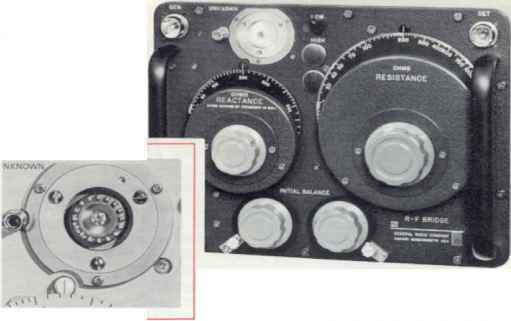 HF & VHF Remote Base'AutopatclTCW Practice*Rotor Control *Voice Meters*Paging*Logging*Polite IDVPacket Voice B B,S. Includes: C64 interface, disk, cabffrj, Manual Add S5.00 S H USA CA. address ado 6.25% Ask (or tree catalog!